Meet Fancy the pig planter! 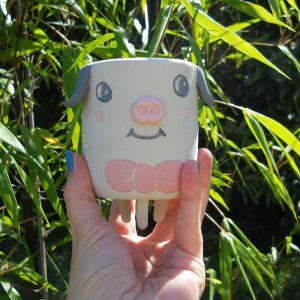 Fancy pig tripod planters are coming to my shop soon. This piggy is shown in its green-ware state. It is in the kiln for a bisque fire along with a few others. Fingers crossed they all make it and nothing explodes.